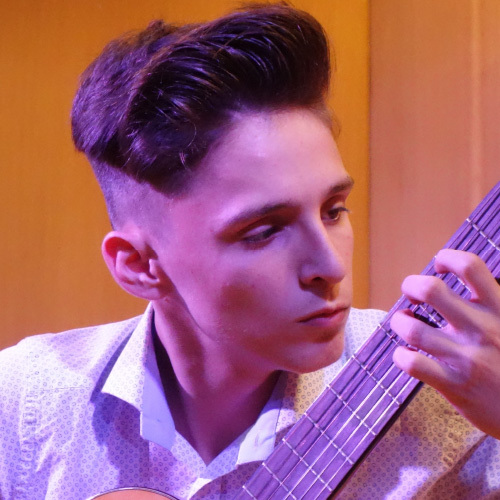 He was born in 2001 and started studying classical guitar at the age of 8. He studies with Christina Veroniki at the National Conservatory of Peristeri. He is currently graduating from the Music High School & College of Ilion, Athens.